METAL foundry on global, most-spectacular scale! and abroad presenting the latest technologies available on the global market, almost 10,000 sq m of the exhibition space - these are the INDUSTRIAL AUTUMN facts and figures. "The Industrial Autumn" in Kielce offered a unique opportunity for foundry industry companies, organizations, editors to establish business contacts, find leads which will translate to real business. The expo in addition to a global dimension was also the opportunity to boost and enhance Poland's position on the global market. This year's trade fairs (METAL. ALUMINUM & NONFERMET. RECYCLING and HEAT TREATMENT) held in Targi Kielce used almost 10,000 square meters as the showcase for about 300 exhibitors, co-exhibitors and companies from 29 countries from all corners of the world. Austria, Belarus, Belgium, Bulgaria, China, Czech Republic, France, Spain, the Netherlands, Canada, India, Liechtenstein, Macedonia, Germany, Norway, Hungary, Slovenia, Scotland, Switzerland, Ukraine, the USA, Great Britain, Italy were represented. This year, exhibitors from South Korea, Hong Kong, Turkey and Georgia and Serbia exhibited at the expo for the first time. Previous editions enjoyed quite a stable level of 3,000 visitors. 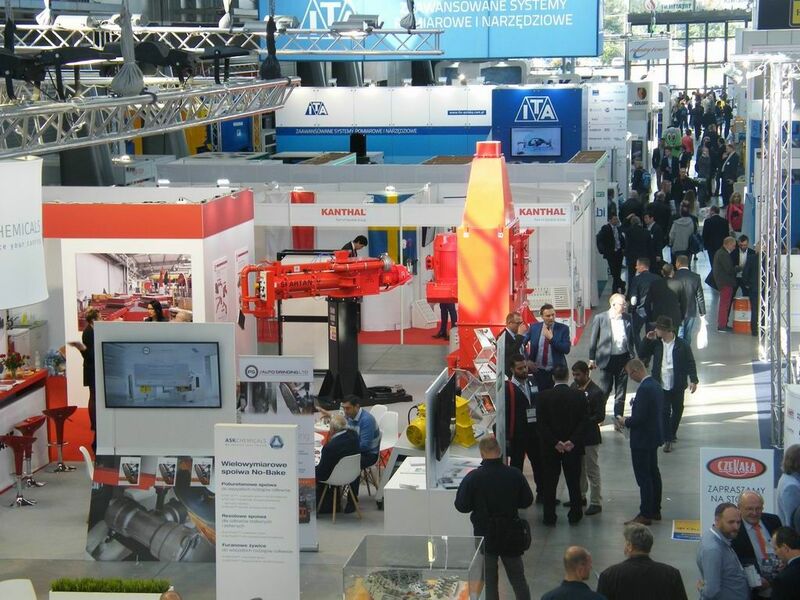 However, this year's "Industrial Autumn” was a record-breaking event as it attracted close to 4.000 business insiders - representatives of various industries: foundry and casting, machine and electromechanical, rail, shipbuilding, armaments, robotics and automation, automotive and aviation industry. They came to Targi Kielce from the most distant corners of the world, including Austria, Belgium, Estonia, France, Lithuania, the Netherlands, Sweden, Switzerland, Uzbekistan, Germany, the Czech Republic, Italy, Ukraine, Hungary, Belarus, Slovakia, Spain, Great Britain, the United States, Slovenia, Russia, Turkey, India, China and Japan. This year’s event's partners list included the leading foreign foundry organizations and among them China Foundry Association (CFA), Belarusian Association of Foundrymen and Metallurgists, Italian Foundry Suppliers' Association Amafond and of course Polish STOP - Technical Association of Polish Foundrymen. The chairmen of all associations were present during METAL 2018 and therefore this was a perfect opportunity to establish business relations. The expo also enjoyed the support form the international media partner - the Foundry-Planet portal. Therefore the news about Polish companies, preparations for the "industrial Autim" business expo and reports from the event reached a wide range of specialists in all corners of the world. The presence of the Chinese Association resulted in the signing an important contract. The China Foundry Association was represented by Zhang Zhiyong, vice president and secretary general of CFA and Gao Wei, deputy secretary general of CFA. Targi Kielce is bridges the East and the West owing to the fact that companies from Ukraine, Belarus or Russia come to Świętokrzyskie Province’s foundry fairs in order to establish business contacts. Targi Kielce’s geographical location and advantageous offer are additional advantages for them. On the first day of the "Industrial Autumn", Targi Kielce President of Board Andrzej Mochoń PhD, on behalf of the Kielce company signed the cooperation agreement with the China Foundry Association (CFA) which stipulates further collaboration for the years 2019 - 2020. The contract guarantees that the Kielce exhibition and congress centre as well as Polish companies will participate in Asia’s most important foundry trade show held in the Shanghai New International Expo Centre in March 2019. This is Asia’s largest exhibition of its kind in Asia and the second largest in the world. According to the agreement, Chinese companies will also be present at the next edition of METAL in 2020. Zhang Zhiyong vice president and secretary general of the China Foundry Association (CFA) signed the document on behalf of their organisation. - We find the Polish foundry market, interesting, Polish companies are worth cooperating with. Our presence in Targi Kielce and the invitation for the expo centre representatives to join the Shanghai event offers the chance to establish new business contacts. This is a perfect example of the "One Belt, One Road" initiative implementation - this is today’s revival of the Silk Road - Zhang Zhiyong commented the agreement signing. - Being the global foundry industry’s leader we have implemented the extensive investment project and has thus involved the European Union member states, including Poland. Our cooperation primarily encompasses Chinese foundry companies promotion on the Polish market. Thanks to the mutual experiences exchange this is a win-win situation for our countries. At 2016’s METAL, only a few companies were showcased under our auspices, today there are twice as many Chinese exhibitors. We hope that this number will further increase in two years’ time. in the global ranking, and 8 in Europe. and the Chairman of the METAL Business Council. - Poland has demonstrated one of Europe’s major increases in aluminium alloys cast production. We have observed this market’s systematic development for years. The increasing demand for non-ferrous alloys casts, mainly those made of aluminium encourages investments in new production means, new pressure die-casting machines and new foundries which start business operation in our country. The 22nd METAL goes down in of the Polish foundry industry for one more reason. The expo was held parallel to the 73rd World Foundry Congress in Krakow - this is no coincidence that these two events were held in concord. Targi Kielce was the Congress Silver Sponsor. The cooperation resulted in the fact that several hundred participants came to visit Kielce; among them there were Board Members of the World Foundry Organization, with Andrew Turner, Secretary General of WFO. Guests from all around the world, including those from Japan, the United States, Spain, South Korea, Great Britain and France visited all exhibitions held within the scope of "Industrial Autumn" expo cluster. - The visit of the World Foundry Congress participants is a very important moment for the Kielce exhibition and congress centre and a unique opportunity for exhibitors of the METAL, ALUMINIUM&NONFERMET, HEAT TREATMENTand RECYKLING. They had a perfect opportunity to present their capabilities and production potentials in front of the best industry experts - said Piotr Pawelec, Project Director of the "Targi Kielce Industrial Autumn”. On the same day the Targi Kielce Congress Centre hosted the General Meeting of WFO Members. This was the discussion platform for the key issues related to the global foundry industry development. 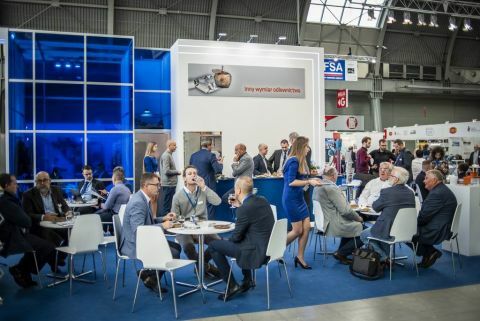 METAL Expo and its accompanying exhibitions form the expo cluster - Central and Eastern Europe's foundry-business most important event and the largest exhibition over the recent years. Pressure die casting and components supply for the foundries generated the greatest interest. 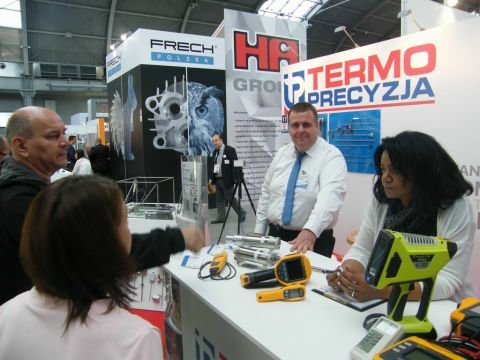 In addition to Polish companies, Kielce expo was the presentation platform for the industry's world leaders. This many-year tradition has resulted in the exhibitors group composition. 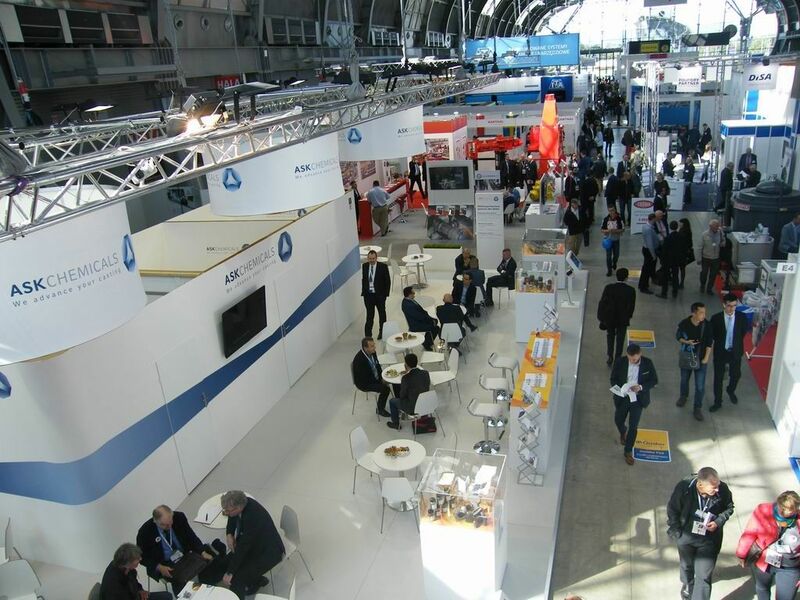 Nearly 60 percent of products offered at the trade show were put on display by foreign companies; For years the exhibitors from Germany and Italy have been the dominant exhibitors group. - the portfolio of pressure die casting machines. Many companies showcased peripherals and spare parts for foundry equipment. The pressure die casting market has been developing dynamically, yet the demand has not been satisfied. High demand for high quality pressure die casts, especially demonstrated by the automotive sector offers great opportunities for machine manufacturers as well as those who buy and utilise the machines. The expo is also a showcase for a comprehensive offer of components and raw materials for foundry. The expo was the display of numerous companies, including HUTTENES ALBERTUS POLSKA, ASK CHEMICALS, BARABASZ, GUSS-EX, FERRO-TERM, KDO, NORGPOL, JAK, STANCHEM, FERRUS and a whole array of foreign companies. There are also companies which offer separation technologies, mixing and dispensing devices, chemical agents, metal alloys refiners and modifiers as well as metal-mould coatings, lubricants and hydraulic fluids - among them HUTTENES ALBERTUS POLSKA as well as the Dutch QUAKER CHEMICAL for the first time at the expo. To complement the offer there were also air purification and filtering devices for casting facilities - INSTAL FILTER was among the exhibitors. There expo did not fall short of computer-aided castings technologies (KOM-ODLEW, VPI POLAND) and measuring, analysis, and control systems (HERAEUS ELECTRO-NITE, ITA, SPECTRO-POLAND). 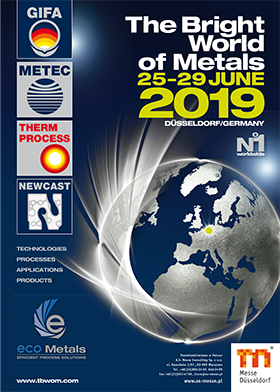 In 2018 Targi Kielce's expo calendar was expanded to include the Metals Heat Treatment Expo (HEAT TREATMENT) targeted at a broad-scope of companies which professional deal with metals heat treatment and heating devices. KANTHAL was the partner of the new trade fair - KANTHAL also was awarded the HEAT TREATMENT distinction for its Flow Heater. KATHAL had another reason to celebrate - the Targi Kielce Industrial Autumn was the occasion to mark 30 years of KATHAL being represented on the Polish market. Kielce foundry business meetings have always featured innovative technologies and provided the opportunity to meet and talk to numerous, top-specialists from Poland and abroad. This year's foundry trade fairs Kielceprogramme abounded with company presentations (ELKEM), seminars on 3D metal printing (ExOne), modern industry 4.0 solutions from Italian industry (ICE - AMAFOND) and metal hardening and heat treatment (KANTHAL) and many other. What is extremely important for the METAL expo organisation is the professional support of the partners. For years Targi Kielce has been supported by the Scientific and Industrial Council and the Business Council. Owing to this help, Kielce Foundry Expo has become advanced to become one of the most significant exhibitions is this part of Europe. The METAL 2018 - another chapter in the success story! The 2018 METAL expo has been granted the honorary patronage of the Ministry of Entrepreneurship and Technology. The patronage granted by the Ministry is a true appreciation for the organisers of this important event, a very significant point on the global foundry business map. Presence of the whole array of top-class companies, business-insider customers - representatives of the foundry business-sector and outside, B2B and match-making meetings, conferences, seminars, the off-site session of the 73rd World Foundry Congress from Krakow to Targi Kielce, numerous foreign guests from around the world and many important accompanying events! This is a nut-shell recapitulation. This year's METAL held from 25 to 27 September 2018 has gone down in history of the foundry world. Is your company's future and development important? Do you wish to mark your place in the foundry business sector? Take part in "2020 Targi Kielce Industrial Autumn". We look forward to seeing you at the expo!